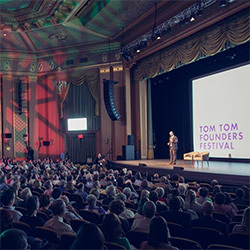 The Tom Tom Spring Summit and Festival is coming to Charlottesville April 8th through 14th, at various locations around Charlottesville. The event features inspirational conferences during the day, and then at night, hosts a block party and performances to celebrate the community! The Tom Tom Foundation is a nonprofit organization that celebrates entrepreneurs, civic leaders, and creators who are shaping cities and communities across the nation.